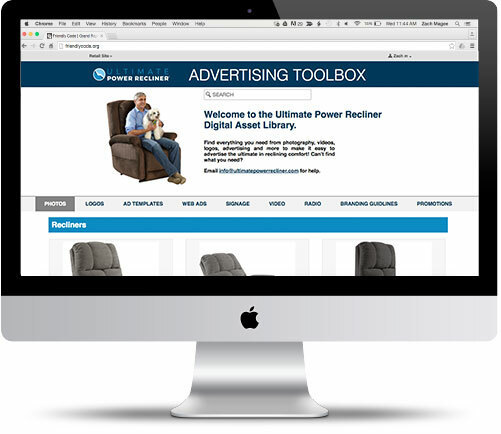 The Ultimate Power Recliner Advertising Toolbox was built for use my graphic designers and 3rd party Marketers of the Ultimate Power Recliner Brand. 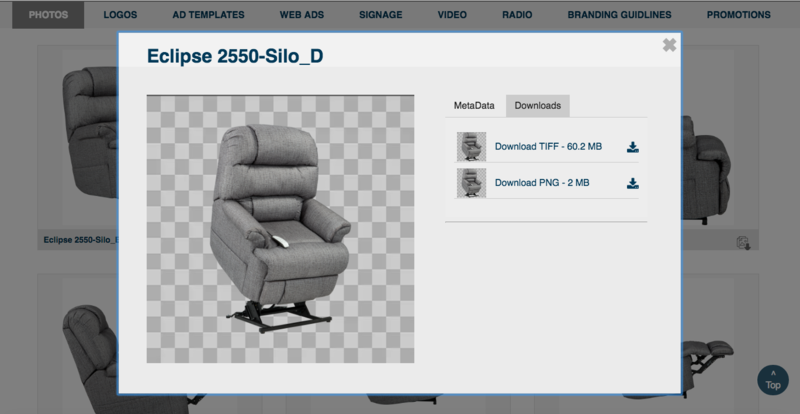 Built on php, MySQL, and Jquery it allows users to download all images featured on the site in jpg and Tiff Format. The Toolbox also contains Logos, signage, videos and other advertising assets.